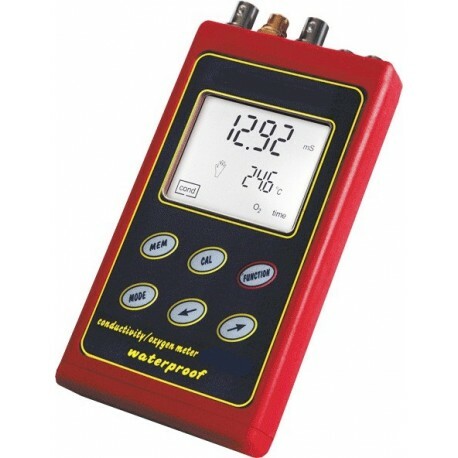 Measures: conductivity, resistivity, salinity in KCl or NaCl, TDS, dissolved oxygen in % of saturation or in mg/l, oxygen in the air in %, atmospheric pressure and temperature. High accuracy and repeatability in all measuring functions. The actually offered meter was modified, what resulted in offering new functions which make the work much easier and fulfil more requirements of the customers. 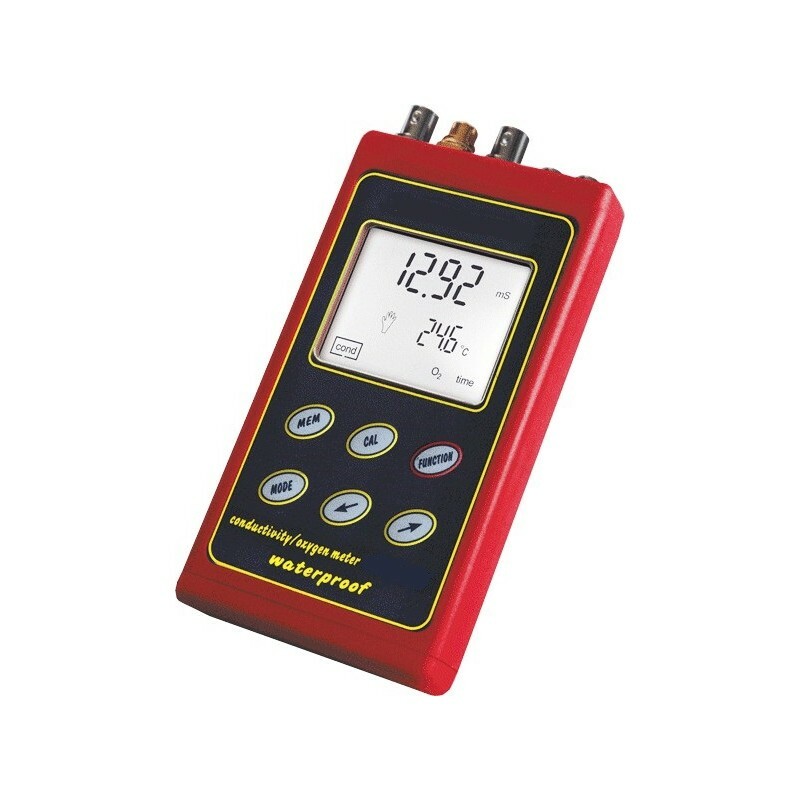 Backlit display enables observation of the chosen function and temperature. Calibration in 1 ÷ 5 points in conductivity measuring mode and 1 or 2 points during oxygen measurement. Memory of 4 000 results. Waterproof housing (IP-66) enables working in difficult conditions. Στη τελική τιμή συμπεριλαμβάνονται: τα ηλεκτρόδια αγωγιμότητας και διαλυτού οξυγόνου, ο αισθητήρας θερμοκρασίας, θήκη μεταφοράς και οι οδηγίες λειτουργίας.